This month, the new Lilly Pulitzer for Pottery Barn collaboration aims to create “a seamless look for every room in the home” by debuting the brand’s hallmark sunny, floral designs at Pottery Barn, Pottery Barn Kids and PBteen. 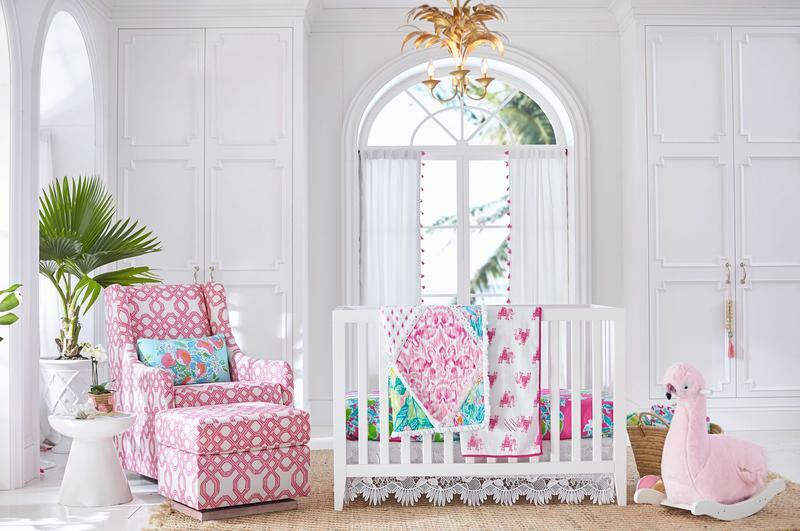 Drawing its influence from Lilly Pulitzer’s Palm Beach aesthetic and hand-painted prints, the collection includes bedding, furniture and decor for bedroom, nursery, lounge, outdoor and entertaining. 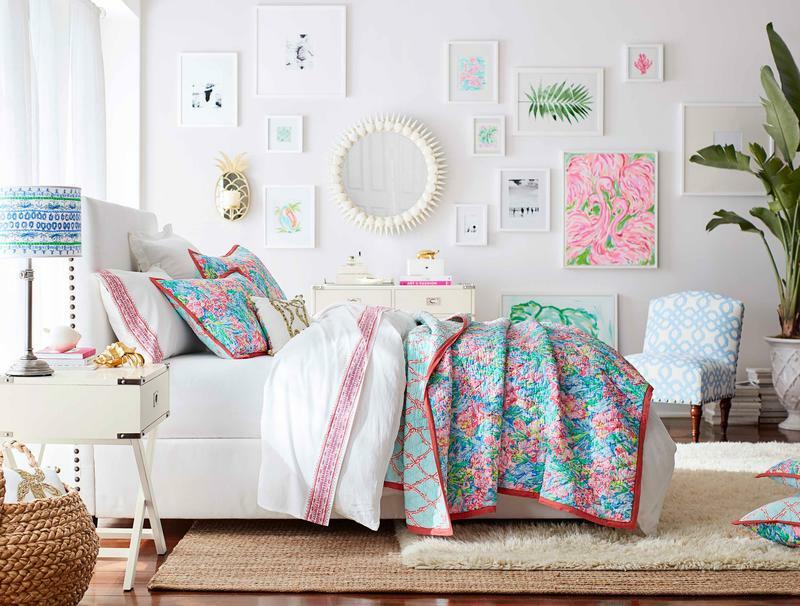 In tandem with the home decor launch, Lilly Pulitzer is debuting a limited-edition womenswear collection, available in both adult and child sizes, that spotlights prints inspired by the Pottery Barn collection. Fashion designer and socialite Lilly Pulitzer was known for her brightly patterned floral shift dresses, which earned her the nickname “Queen of Prep.” Her signature dress was originally designed as something of a uniform—Pulitzer ran a juice stand and designed the garment as a solution to hide citrus stains. She ran the company until 1984, and when it was relaunched 25 years ago, she continued to serve as adviser. Pulitzer died in 2013, at the age of 81. The company now has dozens of stores and also sells to independent shops and large retailers. Its 2015 collaboration with Target sold out within hours.